"You should move along the path of spirituality fearlessly. You are the glorified child of the Supreme Entity." 6th July - Just outside of Lyon in the peaceful valleys, we will be camping and remembering His visit to Lyon by reading discourses and hearing stories from the Margiis. 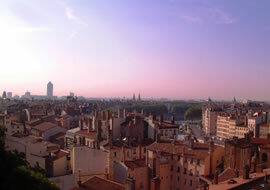 During the day we will hold a RAWA concert in the city to spread positive energy to all the inhabitants of Lyon. Baba actually came to Lyon twice! Margiis remember how they wished that He wouldn't go, and hoped He would return... and He did! 7th July - Depart for a campsite near Barcelona, Spain. "You should say, Oh my Lord I am your child, I am your son, I am your daughter. I have got the birthright to sit on your lap. Please purify me."